Disclosure: This is a sponsored post that may contain affiliate links. All thoughts and opinions are my own. I have always been a loyal Nintendo fan. As a child, I played hours on the Nintendo with my sister. Our favourite games were Super Mario Bros and Tetris. 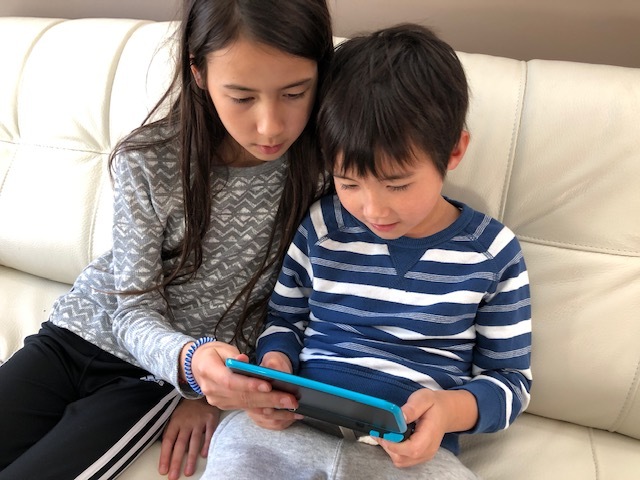 Now that I’m a parent, it’s natural for me to share my love of Nintendo with my children. 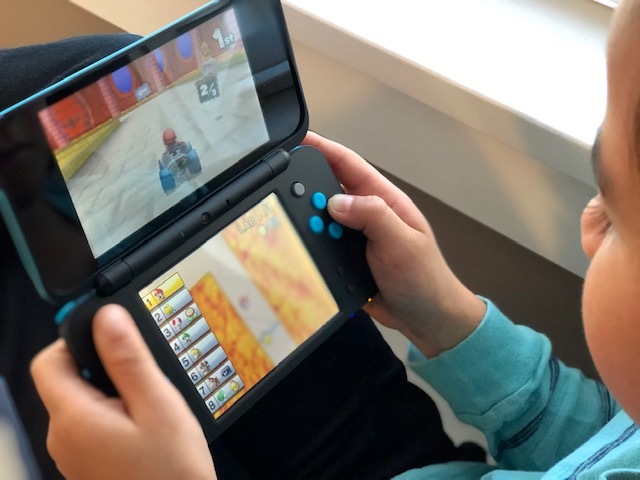 We recently received the New Nintendo 2DS XL Mario Kart Bundle to test out and enjoy. I knew from the moment I opened the box that this system was going to be perfect for our youngest gamer. 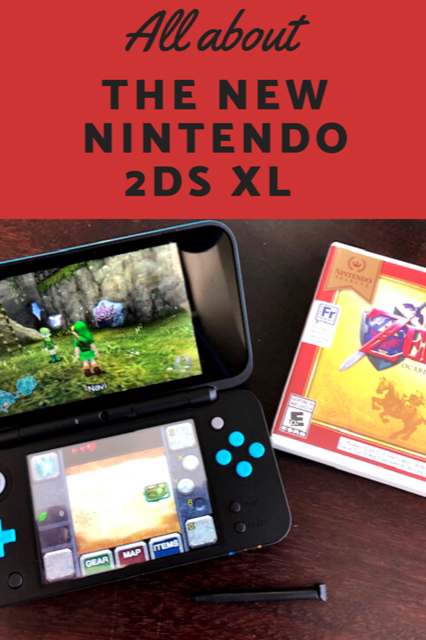 The New Nintendo 2DS XL is the latest personal gaming system in the Nintendo family. It has a very sleek design, two large screens, great sound and easy to use buttons. It is also lightweight, has inner and outer cameras and includes a stylus. The New Nintendo 2DS XL has an activity log that keeps track of your child’s play-time data, it has internet access and the ability to take photos and videos. There are also parental controls that can allow parents to manage what their kids can access on their system. 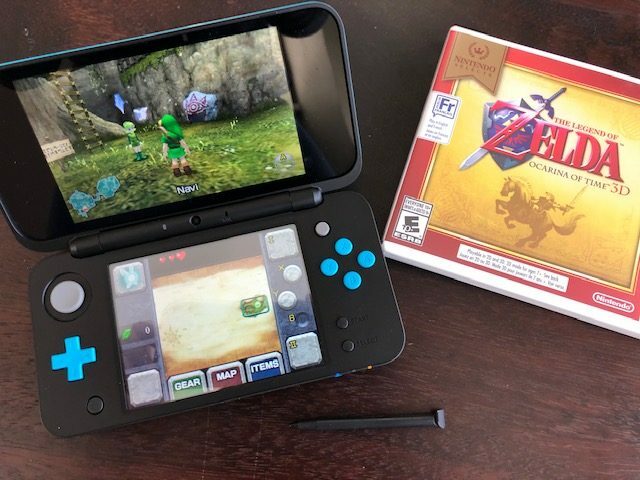 You can play all Nintendo 3DS games in 2D on the New Nintendo 2DS XL. The system is ready to go after its initial charge. Our New Nintendo 2DS XL came with Mario Kart 7 preinstalled. One thing that I’ve always admired about Nintendo is that their consoles are easy to use. 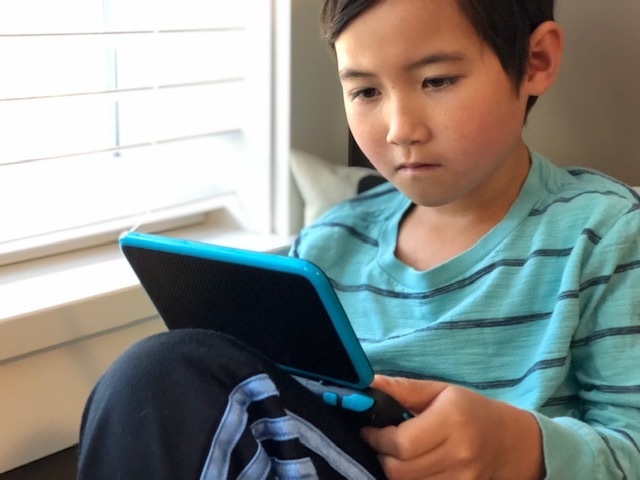 My 8-year-old son is the primary user of the New Nintendo 2DS XL. I was impressed that he knew how to start it up and get playing right away. My son was thrilled that one his favourite games – Mario Kart 7 – is already preinstalled on his New Nintendo 2DS XL. He has been playing this game a lot. My son has also been playing The Legend of Zelda which is part of the Nintendo Selects collection. Games in the Nintendo Selects collection are classic games that are priced at just $29.99. All the games he’s tested out have great graphics,colours and sound . You can purchase hard copies of the games or download them directly onto your device from the Nintendo eShop. You can also access many demo games in the eShop. My kids love this option as it allows them to test out a game before purchasing it. The New Nintendo 2DS XL is a great system for kids aged 6-8. It’s well priced, easy to use, durable and has so many game options. This console is the perfect entry-level system for a young gamer. 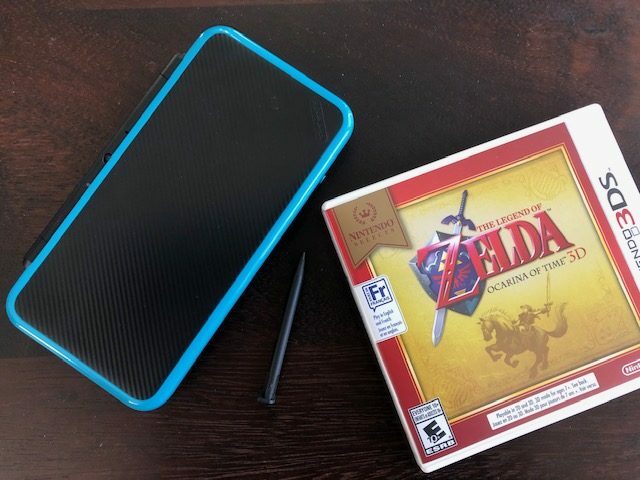 The New Nintendo 2DS XL is a very portable console. It folds down small and can easily fit in any backpack. The Nintendo 2DS XL is well priced and available in stores and online now. I’d love to know, what would your child like most about the New Nintendo 2DS XL? My Like the idea that you can check the game before purchasing. My oldest granddaughter would love this! both my kids want a ds for Christmas. Not sure if I can swing it but I’ll try. I love that you can check out the game before purchasing, that is a great bonus! I think my daughter would love the two large screens. The fact that it’s light and includes cameras is a bonus! Limeapple Canada Day Sale Starts Today! Get Ready for Summer with H&M + Giveaway!